Some of our projects are funded by the European Social Fund (ESF). Click here to visit our Twitter! Click here to take a look at our good news stories to see how we have helped to support people with training and gaining employment. Click here to take a look at feedback that we have recieved from from people that we have provided training and support for. Come and see one of our advisors to see if you qualify for funded training. Phoenix Training Services is proud to announce that we are currently working with Amexi in order to provide QCF qualifications to their staff. We are now offering funded Construction and Security Training with the option of gaining cards/licenses for successful completers. Please click on the flyers below or contact reception to learn more about the training programmes on offer, as well as eligibility criteria and upcoming open days. I'ts currently National Volunteer's Week! From the 1st - 12th June 2016 there will be various volunteer drop in sessions and events at various locations in the West Midlands. Click here to view the calendar of events. Phoenix Training Services has been in operation since 1994, offering free and funded training through Government training initiatives. As well as providing funded training Phoenix operates a large commercial training base with many key local businesses. Whatever your training requirement is Phoenix can meet it. We provide both funded training and commercial training. Our commercial training is bespoke to each induvidual business and its needs. Sid: "Out of all the places I have been to. None have been as helpful and kind as they have at Phoenix Training Services!" 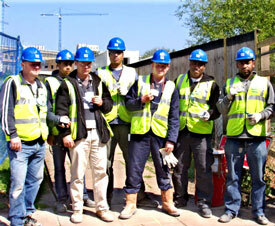 The CSCS card is required by all workers to work in the construction industry. 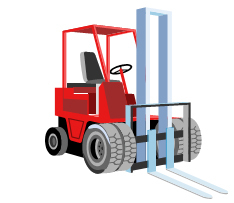 Phoenix Training is the UK's leading provider of training and associated services for all types of materials handling equipment and workplace transport. Copyright © 2019 Phoenix Training Services (Midlands) Ltd. All Rights Reserved. Developed by Prompt IT Solutions.